When it comes to our planet and how we live, everyone has a desire to do more to conserve energy and be environmentally friendly. However, there are times that it just seems overwhelming to do so. After all, we can’t all have our own self-sustaining home or plant a large garden. We can’t all have a compost heap outside, and we can’t just outfit our home in smart devices that save energy for us. But there are plenty of simple steps you can take to be greener and reduce your carbon footprint that doesn’t eat heavily into your busy schedule or your budget. In fact, a number of ‘green’ efforts put money back in your pocket and require little or no effort at all. Consider all the ways you can go green at home and not ever feel like you’re overwhelmed. You’ve heard the phrase so many times, but it can still evade you what the true meaning of going green really is. Basically, it’s being environmentally friendly. Going green doesn’t necessarily mean you’ve spent a fortune to turn your home into a place where everything is solar powered and you eat everything organic. 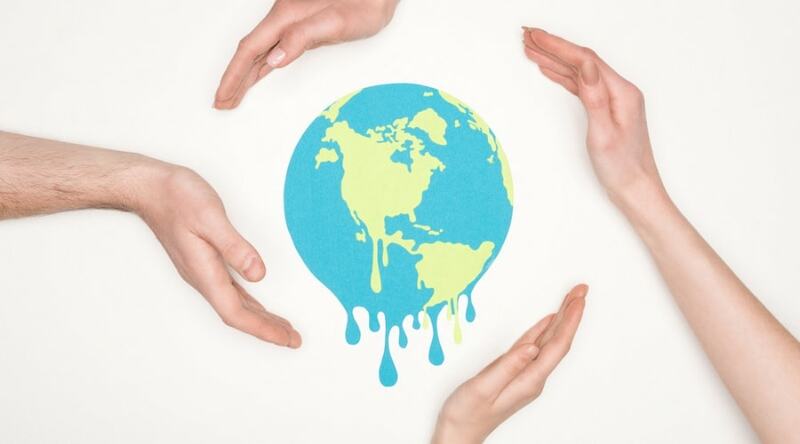 Going green means making a conscious effort to waste less, from energy to water to resources. It means reducing the number of chemicals you use that could be harmful to the environment, producing less trash, and finding ways to use less energy that requires the burning of fossil fuels and non-sustainable resources. There are several ways to be green, whether you’re a strong environmentalist, a vegan, or just your average individual. First, the greener your living, the less impact you have on the environment. You hear about the hole in the ozone layer, the effects of global warming, and the destruction of the rainforests, just to name a few things that have happened based on the inconsiderate way the planet has been polluted. 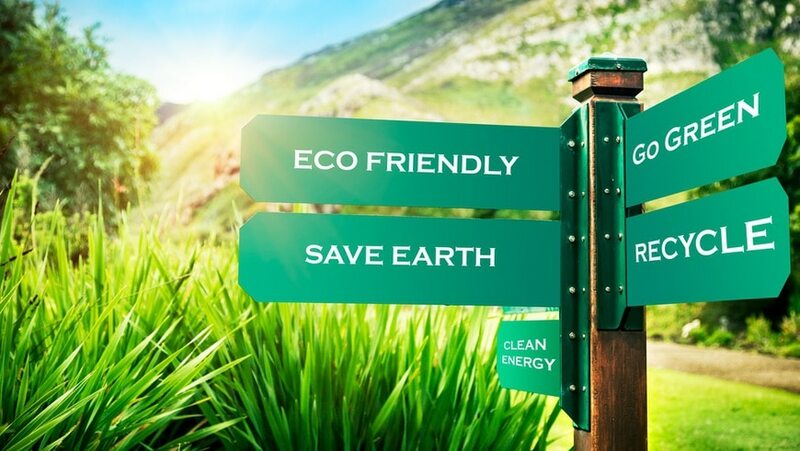 Eco friendly green efforts – even something as simple as recycling – not only negate further destruction of the planet we call home but also help restore the damage already done. In addition, green living efforts actually save money. Especially if you have a sustainable house or lifestyle. For example, conserving energy means a lower electric bill. There are tons of efforts that put money back in your pocket as opposed to forcing you to spend additional dollars to go green. Even most green investments you make give a greater return in the end. 15 Plants That Help Improve The Air Quality In Your Home - here. Out of all the tips to go green, this one is the oldest. It might seem like a no-brainer to recycle, but you don’t always think of the ways you can do this without ever having to hit the recycling center or gather up huge bags of aluminum or glass. While you can turn in these things for money – as well as plastic (remove the bottle caps since they are made of a different plastic that can’t be recycled) – there are plenty of other ways to ‘recycle’ that few people consider. You can take glass jars from pickles, pasta sauce, and more and use these for clear storage. Keep nails and screws in your tool supply in these clear, easy to assess jars, or fill them with leftovers so you can easily see in your fridge what you have (as well as knowing when it’s time to get rid of those leftovers). It costs you nothing and is a great way to reduce the amount of waste in your home. 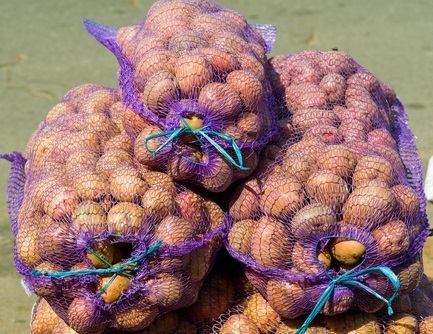 Do you buy fruits and vegetables in bulk, sold in those mesh plastic bags? Don’t throw the bag away instantly. This is a great tool that you can use like a Brillo pad. Ball up the plastic and use it to wash and scrape a pan with caked on food, and when you’re done, you can throw away the whole mess, saving the cost of a Brillo pad and making sure you don’t let anything go to waste. Also, don’t throw out old T-shirts. Instead, cut them up to use as rags. You can clean the kitchen, the bathroom, and surfaces that are easily scratched with this soft material, never having to spend a dime on special clothes for the purpose. You can typically get 4-5 good rags out of a shirt, and these can last you at least a few weeks, depending on how often you have to use and wash them. Either way, keep the stash of shirts so you can readily replace your rags and not have to buy more. This saves money and means there is less manufacturing necessary, reducing emissions from factories. You also conserve trees, using fewer paper products, which aids in maintaining key environments for important wildlife as well as keeping oxygen in abundance in the atmosphere. With an environmentally friendly house, the numerous ways you can conserve energy at home are almost endless, and most of them are so simple you may have overlooked them. Of course, at the top of the list is to assure that all of your appliances are Energy Star rated for the highest efficiency, but even if you can’t afford to replace all your old appliances, even one at a time, you can still save a lot of power, which conserves natural resources and puts out less pollution. Washing clothes with cold water as opposed to hot water can save a great deal of energy, and choosing to line dry those clothes rather than keep up a dryer is an even greater opportunity. You wouldn’t believe how much savings will go into your pocket with these two small changes, either. In addition, consider turning down the temperature on your hot water heater by a degree or two. Even the smallest change can make a big difference in cost and energy consumption. The same works for your thermostat. If you turn the temperature up two degrees in the summer and down two degrees in the winter, you can save a great deal of energy and a fortune in your pocket. Have you heard of a phantom power drain? This occurs when you have appliances or electronics plugged in that aren’t running. Even though they aren’t actively drawing power, some power leaks to them. Therefore, when you aren’t using your electronics or small appliances like blenders and toasters, unplug them, and you’ll avoid that waste of electricity. Also, if you aren’t using your laptop, turn it off completely and unplug it. The same goes for your cell phone when it’s charged. Make sure you unplug it rather than wasting the energy once it hits 100 percent. While you may or may not want to reduce the temperature of your shower, you could set a timer that helps you cut back on how long you spend in there, which will help conserve the power to heat the water. Of course, one additional step you could take would be to replace your traditional water heater with a tankless water heater, which will instantly heat water on demand rather than expanding the energy to keep water warm on a continuous basis. Consider the lighting in your home. Incandescent bulbs are not energy efficient. They not only drain a lot of power but also put out unnecessary heat that can make the air conditioner have to work harder in the summer. To get the same bright lighting with a fraction of the power consumption and no excess heat, switch all the bulbs you can to compact fluorescents (CFLs). These have a brighter output using fluorescent technology, so you get the same appearance of something like a 60-watt incandescent bulb with somewhere around 15 watts of actual power. While you’re at it, make sure you turn off lights when you leave a room. Leaving lights burning all the time, even when you aren’t in the room, is a fast way to burn empty energy. Turning off lights as you go can literally save you hundreds of dollars every year. If you find you have trouble remembering, you can install switches with motion sensors that will turn off the lights for you, if they don’t detect anyone in the room for 10 or 15 minutes. Another easy way to save with lighting is to install dimmer switches in larger rooms so you can lower the amount of power when you don’t need the lighting on full blast. And don’t forget to open the blinds, shades, and tapestries to let in natural light so you can take advantage of the sun and turn off lights during the day as often as possible. When cooking, make sure the pot you use matches the size of the burner you use. If your pot is smaller than the burner, tons of excess heat will escape, which is extremely inefficient and wastes electricity or gas. In addition, in the summer, this will heat up space further, causing your air conditioning to work harder to cool it off. Another good tip in the kitchen is to turn up the temperature in your refrigerator slightly. Of course, you want to make sure your food and drinks stay cold, but that doesn’t mean you have to have everything icy. You can again put a lot of money back in your pocket by making a small adjustment here. Make sure the insulation around windows and doors is sound, so you aren’t leaking energy or falling victim to a draft. Proper insulation – including in the walls – can greatly cut back on energy usage and help you save tons of cash since it holds the temperature inside steadier throughout both the winter and summer. Going green is also about not wasting resources, and one of the biggest ones you can work with is paper. We already discussed not using paper towels to clean but rather replacing them with scraps of old, soft t-shirts. But this is only one of several areas you can cut back on how much paper you use. This is important because trees, the source of paper, are necessary for the environment. That’s not just for the animals that call those trees home and keep the ecosystem balanced. It’s also because trees are essential to the breathing cycle, reducing carbon dioxide in the atmosphere and replenishing oxygen. Most of your bills can be paid online now, so you no longer have to use checks, envelopes, or stamps, all of which require the use of paper. In fact, you can opt into paperless billing and statements through your bank, electric provider, and several others. Anywhere that you can do so, it also assures you aren’t able to misplace or lose random receipts and bills, and you’ll have less clutter aside from being more environmentally friendly. Have you been approached by people handing out fliers and other offerings? Are you going to use them? If not, don’t take them. Avoid taking coupons or advertisements that don’t apply to you so that less paper is thrown away. This not only saves paper but also means less of it ends up in a landfill somewhere. Another way to avoid wasting paper is to resist picking up store ads just to browse them and then throw them away. Another suggestion for the kitchen is to switch from paper towels to cloth napkins. With as much paper as you go through simply wiping your hands, you could save several rolls of paper towels in a month’s time, especially if you have a large family. You can also reuse scrap paper rather than throwing it away. You can print on both sides of the paper rather than just one, using less to start with, or if you have a paper that’s printed on one side you no longer need, use it for scrap paper to take notes or phone messages. You could also give it to your kids for drawing and coloring before getting rid of it. When you do have waste paper, recycle it to reduce the amount of trash as well as the number of trees cut down to make paper. Clean water is a commodity these days, and it’s important to conserve where you can. Start by turning the faucet off while you brush your teeth, and you can save gallons a day. This is one of the quickest ways to wastewater, to the tune of as much as 5 gallons every time you’re at the sink. While we’re on the subject of faucets, make sure you have taken care of any dripping and leaky taps. Even if it’s a small leak, it’s not just an annoying problem or a bothersome sound. It can cost you significant change throughout the year and waste more water than you would think in the long run. Check all faucets at least once a season, as pressure changes in the weather can change the fitting of valves. You should also check outdoor spigots at the same time to make sure you don’t have a larger problem out there. Cutting your shower just a couple of minutes every time you wash can also save a great deal of water, aside from cutting back on the energy it takes to heat the water. Also, you should use a low-flow shower head, which reduces the amount of water coming through without compromising the pressure. On a side note, using an aerator on your faucets accomplishes the same task, so you use less water out of your tap as well. When you wash clothes, make sure you have a full load. If you’re washing half loads, you’re using the same amount of water you would need for a full load, but you’re doing it twice as often. That’s a huge waste that can easily be avoided by adding a few extra items to your load and filling it up. Also, if there is one item in your house that you replace with an Energy Star rated appliance, make it your washing machine. Instead of running water to hand wash dishes, use your dishwasher. Make sure you fill it up before running it and don’t waste the water to rinse dishes first since today’s dishwashers are made to get even caked-on filth cleaned off without trouble. If you don’t have a dishwasher, fill the sink with one load of soapy water for washing, then drain and fill with fresh water for rinsing, rather than leaving the tap running. This can conserve several gallons of water, especially if your large family goes through a lot of dishes. When it comes to watering your yard, make sure you are using your sprinklers at the best time to avoid waste. If you water in the heat of the day, you’re losing a great deal of water to evaporation. For best results, you should water just before or just after daybreak, which will keep the evaporation to a minimum and still allow the lawn time to dry during the day so that you don’t end up with mold in your yard. If possible, have the system set on a timer so you don’t have the water running for too long. You shouldn’t water for more than 15 to 20 minutes 3 times a week, or you’re wasting water that is just going to run off into the street. It’s also important to make sure all your sprinkler heads are in good working order at least every few months. Another alternative is to use soaker hoses, which drain water directly into the ground with no amount of evaporation at any time. You also don’t have to worry as you do with sprinklers that some of the water is hitting the sidewalk or street and going to waste there. For indoor plants, collect rainwater when you can to avoid having to pour buckets of water out of the tap on them every few days. This may not be ideal during the dry season in the summer, but throughout the rest of the year can save a lot of water and, therefore, resources and money. When you start exploring all the ways you can go green at home, you’re going to find some interesting gems out there. For example, part of going green is using fewer chemicals that can contaminate the environment and really cause a lot of problems outside and in. There are, however, three great ways to cut back on the number of chemicals you release into the environment. Make your own, homemade cleaner. Lemons. Vinegar. There are a variety of natural ingredients you can use to clean your entire house that doesn’t involve any chemical additives. And you’ll likely save money using things you already have at home as opposed to paying for those harsh cleaners. Make your own pesticides. If you have plants – flowers, vegetables, or herbs – you may need to treat them to avoid harmful pests. However, you don’t want to put chemicals on them as is so often the case for large growers. Instead, find a recipe for a homemade, organic pesticide that truly resists bugs and vermin but doesn’t harm the environment or contaminate your food source. Create a compost pile. Compost is a great, natural fertilizer, and it’s also a great way to reduce waste. Your leftovers can become the best fertilizer for your garden or make your garnish shrubbery grown healthier, negating all the chemically enhanced fertilizer sold commercially. Another place you use a lot of resources is commuting. Gas and oil are not only expensive but non-renewable resources and they burn away quickly in traffic, polluting the environment in turn. There are several ways you can cut back on the amount of fuel you use and the carbon footprint you leave with it. Use public transportation, walk, or bike when possible. It’s better to exercise to walk and bike and a single train or bus filled with people conserves a lot of resources, as well as putting money back in your pocket. As a bonus, trains, and buses are often part electric, even using less fuel than you’d think in one of those massive beasts. When you must drive, combine all your errands and destinations into a single trip, trying to be efficient in the direction you go to use as little fuel as possible. This means you aren’t driving back and forth to several places several times a week, and you’ll put less exhaust into the air while also saving on gas, both in quantity and cost. Don’t be in too big of a hurry. Sometimes, the speed limit seems as though it’s a bit too conservative. However, staying under 55 miles per hour can actually keep your fuel economy more efficient. So, obeying the speed limit can be to your advantage, environmentally and financially. If you have the opportunity, carpool. While you may not have a reliable form of public transportation or may have too far of a commute to bike or walk, you can still arrange with coworkers to ride 2 or 4 to a car rather than taking separate cars, which cuts the amount of gas and pollution at least by half, if not more. It also cuts back on traffic volume when more people carpool, so the trip is less irritating with fewer slowdowns. When shopping, take your own reusable bags. This means you aren’t using paper or plastic, and you aren’t throwing away more garbage. In fact, a number of cities have begun charging for their paper and plastic bags to help encourage the use of reusable cloth bags. And some stores (including participating CVS stores) will actually pay you to use these instead of asking for them to give you paper and plastic. Instead of buying bottled water – which uses a great deal of plastic and requires a lot of manufacturing that releases chemicals as well as treating the water with additional chemicals – buy a filter that goes on your faucet. The water is just as clean, it’s far more cost efficient, and it’s infinitely more environmentally friendly without tons of bottles and pollutants from manufacturing. Do you have old magazines or newspapers lying around that are just going to be thrown away? Do you have boots in your closet? Roll up the old papers or magazines and stick them in the boots to help keep them standing. This will make the boots last longer without strange creases, keep your closet neater and more organized, and help you recycle those papers and magazines. Don’t throw electronics away. Batteries and other elements can be harmful to the environment, even contaminating landfills. It’s important to dispose of these properly, typically taking them to an electronics store or having them picked up by experts. Don’t always buy new. If you can reduce purchases, you can reduce waste. So, use Craigslist and other sites with second-hand sales, or visit a thrift store. By the same token, have your old clothes, furniture, and working appliances donated to a thrift store, or sell them on Craigslist and other sites, such as OfferUp. It’s certainly better than tossing an entire living room set into the garbage, especially if it’s still in good condition. Not only can someone else who can’t afford to buy new use it; you can pocket a little cash, and you’re reducing waste. Even things like old doors can be recycled – turn it into a desk rather than throwing it away. Cut it in squares and nail it together to create a storage bin. There are plenty of ways to use the wood from one of your doors. While this is a fairly comprehensive list of all the ways you can go green at home, they still aren’t all the ideas out there. Consider, though, that these at least get you started and could, in fact, inspire other thoughts on how to go green, conserve energy and resources, and ultimately save money doing it. None of these tasks are particularly difficult, and several of them could actually turn into fun family projects with just a small amount of effort. Don’t turn your back on environmentally friendly initiatives just because so many of them have a reputation for being expensive – such as installing solar panels. Start small, and in the end, you may save enough to start investing in the bigger ideas that will save even more.